A week ago today, March 20th, was the 1st day of spring in the Northern Hemisphere. Here in Long Beach where I live, we don’t pay much attention to that because all of the seasons are pretty much the same. But in most of the U.S., I have to assume that the start of spring is a big deal – heck, some people are so anxious for winter to end that they are even willing to give credence to the idea of a clairvoyant groundhog. While we may not notice the change in weather here in sunny Southern California, at Precision Property Measurements we definitely DO notice the start of the retail renovation season. The first sign of this change is the proliferation of trade shows focused on retail design, construction, and real estate this time of year. Starting on Tuesday of this week, the conference kicks off Las Vegas. So the Oakland Raiders aren’t the only ones coming to Vegas – Tawny Correa and Luke Martindale of PPM will be there too for this retail industry event which combines design, merchandising, fixture manufacturing & installation, and a wide variety of shopper-facing technology & marketing. 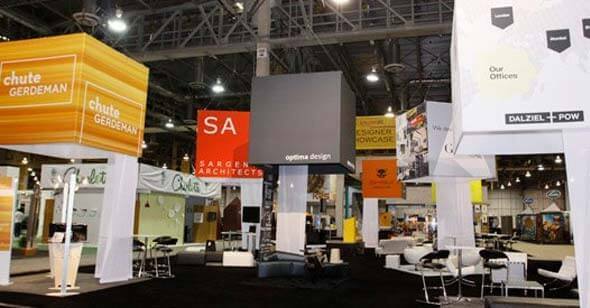 Other trade shows either just passed or coming up soon this time of year for the retail design & construction industry include the SPECS conference (mid-March), AIA Convention (late April), and ICSC RECon (mid/late May). Which brings me to the 2nd sign that Spring has arrived: over the last 6 weeks we have seen a big increase in the number of inquiries and RFPs we are getting to provide As-Built surveying for these programs, with many of them talking about launching in the next month. 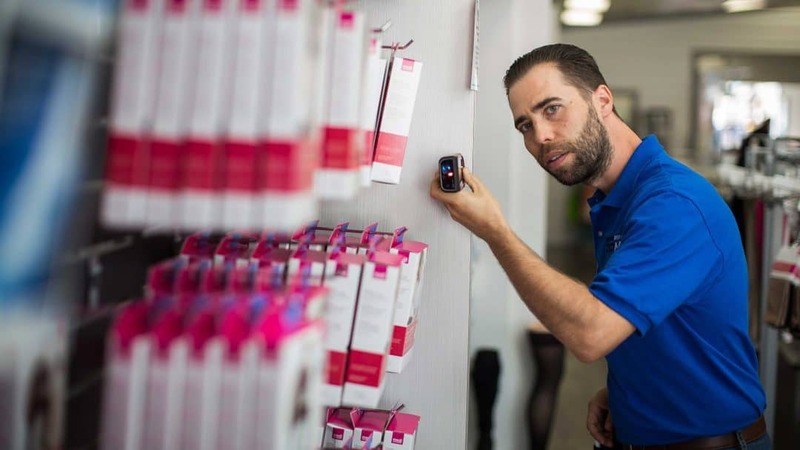 These clients need accurate floor plan drawings of their locations so that their design team can spec out the proposed changed to the store, and the installers can then get in and out as fast as possible with minimal downtime for the store. We are actively working with atleast a half dozen retail brands on the scope, scheduling, and pricing of their upcoming As-Built survey programs. As much as we pride ourselves in being able to respond quickly and professionally to these inquiries, we constantly find ourselves wishing that we could have started talking to the client several months earlier. A large nationwide As-Built survey program, potentially involving as many as 50+ store locations per week, requires a lot of planning to get right (and at the right price). So the sooner that we can get involved in the process, the better outcome we can deliver for our clients. Are you planning a “rebranding” or remodel program for your stores? We would love to talk to you about how PPM can help you streamline the process from beginning to end. 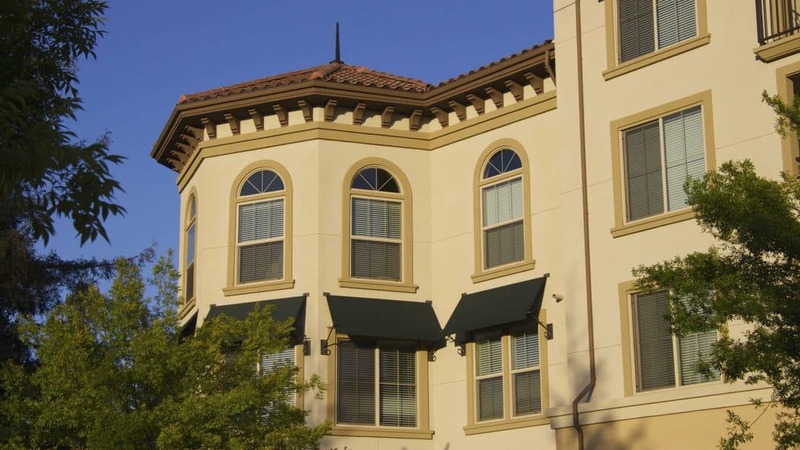 Contact us to schedule an appointment with an As-Built surveying specialist. But first go outside and enjoy the warm weather first. LA Soft-Story Retrofit Ordinance got you feeling some “March Madness”? What Is A Soft-Story Retrofit? Here at Precision Property Measurements, our As-Built surveying company in Long Beach, we have started to get some inquiries from local apartment building owners asking about the recently passed “Soft-Story” Retrofit Ordinance in Los Angeles. Understandably, a lot of folks are confused about the law, and unsure of what they need to do to comply. I guess you could say these apartment owners are feeling their own version of March Madness as they grapple with the implications of complying with this mandatory new ordinance. Contain ground floor parking or other similar open floor space. So for many apartment building owners, the clock is already ticking to comply with the Soft-Story Retrofit Ordinance. Please CONTACT US if you want to learn more about how we can help. Now back to basketball! As-Built Happenings – New Initiatives and New Busta! >I’m sure I’m not the only one who is struggling to comprehend the fact that it’s already March. I’ve tried to deny it but there it is, that little “3” in the front of the date field, staring at me in the bottom righthand corner of my screen. 2017 is whirring by so fast that I forgot to blog the last 5 weeks! I’m not a big science-fiction guy, but in this case I think it is definitely possible, if not probable, that I stumbled into some kind of a time-travelling wormhole in mid-January and just came out in early March. Greg became our 20th employee on the first day of 2017. 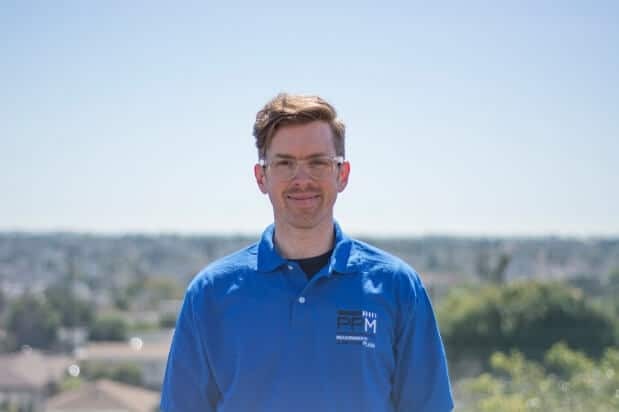 We first worked with Greg way back in 2014 as an As-Built surveyor, and then as a project management consultant, most notably managing our 500 store Ferguson As-Built survey program in 2015. We hit it off so well we decided to make it official, hiring Greg on the first business day of 2017. In Greg’s new position he is leading our expansion into As-Built 3D scanning and BIM modeling. We just purchased our first laser scanner and we are already using it on live As-Built projects. Greg is developing our processes and infrastructure so that we can start offering 3D point clouds and REVIT models to any client that needs a BIM deliverable. Was born and raised in Chicago, home of the best team in baseball – the White Sox. Has ~15 years of experience providing As-Built surveys as well as developing technology solutions in the real estate industry. Loves living and working in Long Beach. Extended his list of favorite outdoor activities of running and cycling to include skateboarding and snowboarding. Running both the LA Marathon and Chicago Marathon this year. I am thrilled to have new talented and energetic Bustas joining our team – I feel like we hit a homerun with this hire (sorry but the other thing that happens in March is the start of baseball season!) If you want to talk As-Built survey tech with Greg, give us a call.